Attachments to inflate bicycle tyres, inflatables and footballs. If you’re looking for an affordable air compressor for pumping up car tyres, the RAC 610 is likely to appear on your shortlist. Currently retailing between £12 and £15, it’s a more wallet-friendly alternative to the very similar 635 digital air compressor - the main difference, as the name suggests, being the 610’s analogue dial in place of a digital display. The RAC 610 doesn’t do anything particularly fancy - it goes without the torch and flashing light of the 635, as well as the automatic cut off. 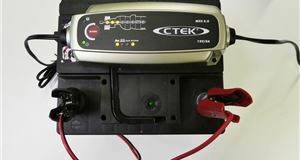 It’s a small, lightweight device with an air hose that wraps up neatly and a wire to plug into your car’s 12v power outlet. If you’ve got a flat tyre, the main thing you want is a compressor that can quickly and easily pump it up. And the 610 does just that. Although the manufacturer claims it can inflate a small wheel in around 4.5 minutes, you’ll need longer for the majority of today’s increasingly large car tyres, as shown by the 20-inch wheels on the DS7 in the photo above. Plugging it in and connecting it to your car’s tyre valve is very easy and intuitive, although you might miss that torch function of the 635 if you’re attempting to do it on the side of a dark road. The three-metre power lead unwinds easily and is long enough for most purposes. Getting the air hose in and out of its container can be a bit fiddly - we envisage that most users might just leave it out after its first use. The analogue dial is also fairly easy to read, although it’s obviously not as accurate as the digital display of the 635. And the manufacturer does state that the gauge is for guidance only. 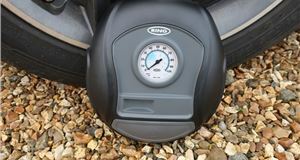 We’d recommend checking your tyres pressures using a more accurate standalone device. 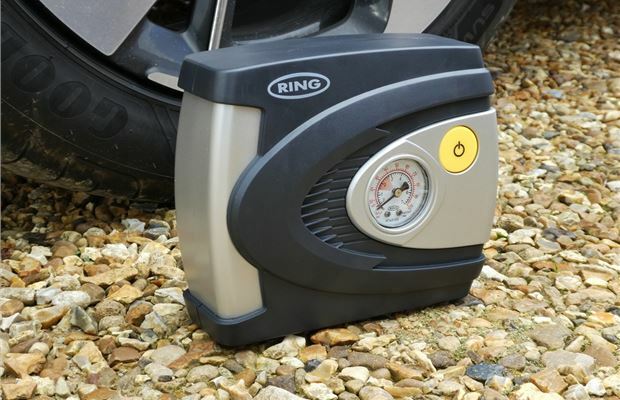 As well as being capable of pumping up car tyres, this air compressor also comes with a handful of other adaptors to inflate bicycle tyres, inflatables and footballs. The £20 Ring RAC610 is half the price of it's more expensive, digital RAC635 sibling. 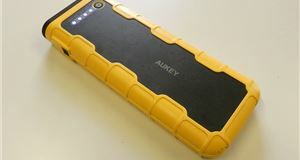 It does without the features like an automatic cut off when tyres are inflated, digital display, torch and carry case. Essentially, whether or not you want the 610 or 635 will come down to what you want to spend and how you intend to use it. If you just plan on pumping up your tyres on your driveway rather than paying 20p at a supermarket station, then the cheaper 610 makes more sense. 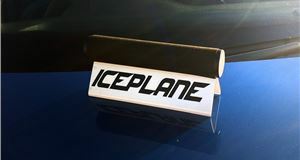 But if you do high mileage and you're likely to leave the tyre inflator in your car, then the torch, carry case and digital display will be features that are worth the extra £20 for peace of mind.